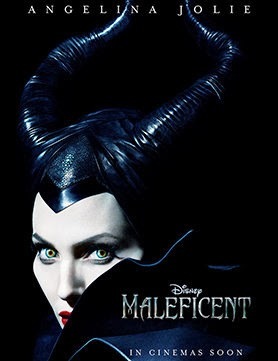 I don't know about you, but I've been dying inside with anticipation ever since I found out Disney cast Angelina Jolie as Maleficent. So, naturally since Disney released this awesome sauce right here, they've just sped up my dying process. Thanks, Maleficent. I looked in the mirror & clearly you've cast a spell on me, too. Take one look at my mug and you'll realize I'm dying more and more each day. You're depleting my collagen stash slowly yet painfully. Give me back my collagen in my cheeks. My eyes need a lift and you've got to be joking me right now with this sun damage, hyperpigmentation & fine lines. Oh, well. At least I can say I got to watch Angelina Jolie as Maleficent before I go. Amen to that. Holler. Woot. Woot.